The Beauty Scoop: TODAY ONLY: 20% off iS Clinical!! TODAY ONLY: 20% off iS Clinical!! Ladies and gentlemen today is my absolute favorite sale of the year!!!! Since we are unable to discount iS Clinical products throughout the year, we always have an iS Clinical One Day Sale each year. This sale is HUGE at a 20% savings on all of these amazing products. I know many of our clients patiently wait for this one sale to load up on all of their favorite iS Clinical products. This is definitely the perfect time to do it! If you have been wanting to try iS Clinical, do it now! I would recommend one of their kits such as the iS Clinical Acne Kit, iS Clinical Anti Aging Kit, iS Clinical Rosacea Kit, or the iS Clinical for Men Kit. They are already discounted by 10% and TODAY ONLY you can receive an additional 20% off! These are full sized products too! These products work! I have been using several of their products regularly for years now. My favorites are Active Serum, Youth Complex, HydraCool, and Pro Heal. 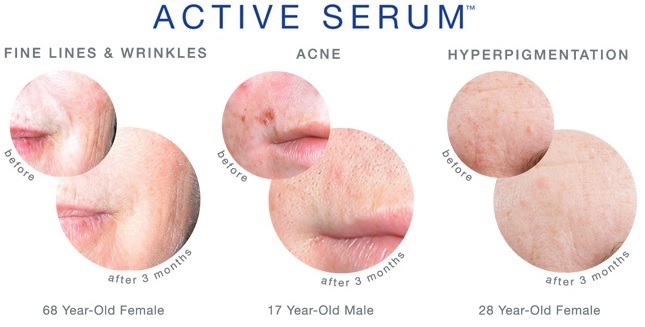 That's right - you can get 20% off iS Clinical Active Serum - a 3-in-1 product for Acne, Aging and Hyperpigmentation! Check out these amazing BEFORE and AFTERS! They literally speak for themselves! Remember, this is a ONE DAY SALE ONLY! So, don't miss out!! Use code: 20CLINIC today, August 12, to receive this amazing iS Clinical discount!